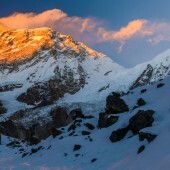 Among the most remote and less populated trekking in Nepal’s eastern region is the Makalu Base Camp Trek. 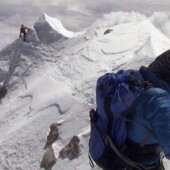 The trekking expedition leads you to the base camp of Mount Makalu (8,485m), the 5th tallest mountain worldwide. 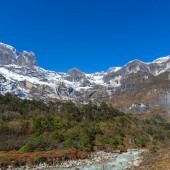 It is situated in the Makalu Barun National Park trekking, which is 2,330sq km in size and is home to 431 species of birds and many faunal species such as Musk deer, languor monkeys, wild yak, Himalayan goat and wild boar. 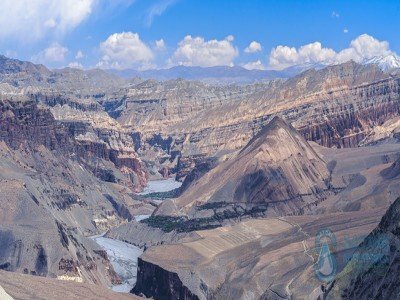 This region is very isolated and harbors some of the last remaining sections of alpine grasslands and pristine forests in Nepal. 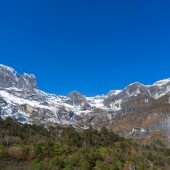 The upper part of the region is quite popular for its refined granite cliffs crowned by hanging glaciers, bursting with waterfalls, while the lower outreach is renowned for the lushness with tropical rhododendron forest with about 45 species of Orchids and 56 types of rare and endangered plants. 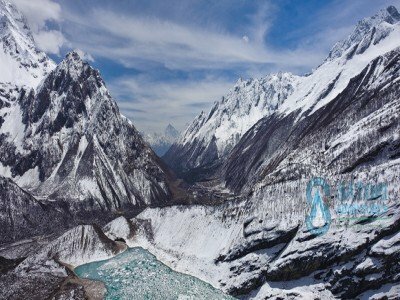 The Makalu Trekking Package is a 17 day tour that offers the remarkable occasion to experience the godforsaken nature and culture of Nepal. 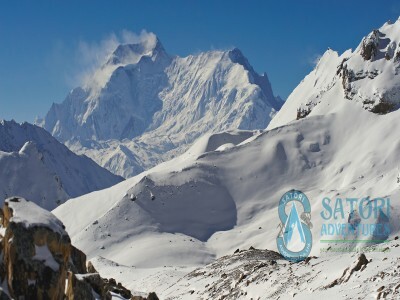 Satori Adventure’s program has been outlined to enable orthodox acclimatization at greater heights and to make proper use of the exploration period around Makalu Base Camp. 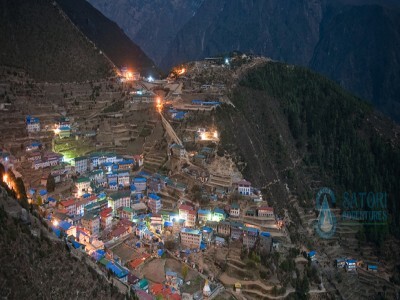 The starting point of the Makalu trek is Tumlingtar village (400m). It is a small airstrip that connects to Kathmandu by flight. 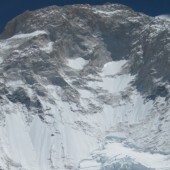 The trek takes 10days to get to Base Camp (5,500m) from Tumlingtar. 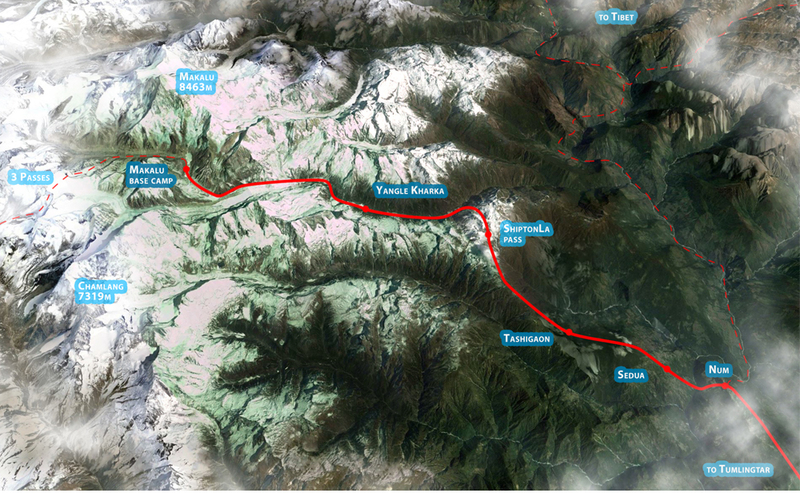 The pathway then follows the Arun River valley via an assortment of cultures and ecosystems. 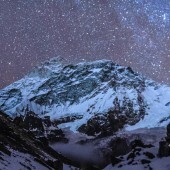 The Makalu Base Camp Trek is a great opportunity for tourists who wish to relish the pukka life and snowy mountains while journeying across one of the isolated regions in Nepal. The people who reside in the Makalu region are predominantly Sherpa, Rai and Shingsawa or Bhotia farmers. Although transcended by infrastructural development and poverty-stricken, they still maintain a rich cultural tradition. Aside from the local people’s incredible hospitality, their traditional and cultural celebrations are fascinating. 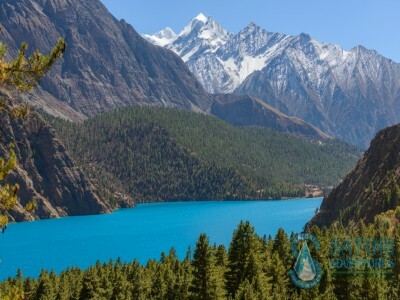 As we proceed further up we get a chance to see illusive snow leopards as well as blue sheep, which are part of the endangered species enlisted on the IUCN. Having a previous trekking experience is an added advantage since you will be familiar with the challenges you may face and how to deal with them. 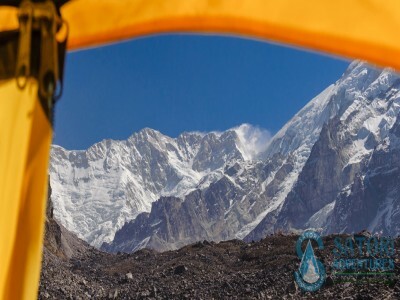 Therefore it is almost a guarantee that you will enjoy your Makalu trekking experience all the way, even when the second part of the trek becomes strenuous. 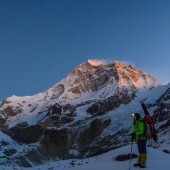 If it is your first time trekking it is important for you to be in great health condition in order to manage the strenuous bits of the trek, nonetheless, the rewards are phenomenal as you’ll have the chance to appreciate the beauty of enormous Himalayan range. Basic necessities are essential. Makalu trekking in Nepal is a complete camping trip with all the necessities being carried by local porters from day 1 of the trek. A permit from the Department of Immigration along with Trekkers Information Management System (TIMS) is essential for this trip. This will be organized by Satori Adventures. 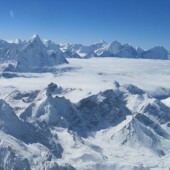 Himalayan sights: Makalu, Everest, Lhotse, Chamlang and Kanchenjunga. 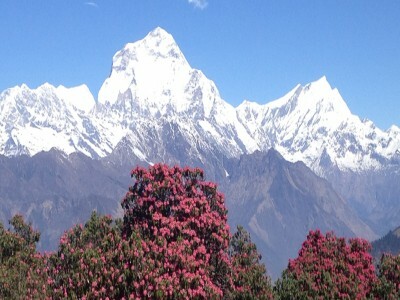 Day 02: Fly from Kathmandu to Tumlingtar (50mins) and drive to Num (1980m/6496ft, 06-07hrs) lodge/camping accommodation. Day 03: Trek from Num to Seduwa (1500m/4922ft, 06-07hrs) lodge/camping accommodation. Day 04: Trek from Seduwa to Tashigaoun(2100m/6890ft ,06-07hrs) lodge/camping accommodation. Day 05: Trek from Tashigaoun to Khongma Danda(3500m/11483ft, 06-07hrs) lodge/camping accommodation. 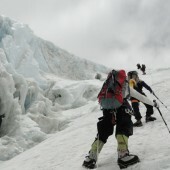 Day 06: Exploration and Acclimatization day at Khongma(3500m/11483ft, 06-07hrs) lodge accommodation. Day 07: Trek from Khongma to Dobsto (3650m/11975ft, 06-07hrs) lodge/camping accommodation. Day 08: Trek from Dobute to Yangle Kharka (3600m/11811ft, 06-07hrs) lodge/camping accommodation. Day 09: Trek from Yangle Kharka to Langmale Kharka (4410m/14469ft, 06-07hrs) lodge/camping accommodation. Day 10: Exploration and Acclimatization day at Langmale Kharka,(4410m/14469ft) lodge/camping accommodation. Day 11: Trek from Langmale Kharka to Makalu Base Camp (5018m/16464ft,06hrs) lodge/camping accommodation. 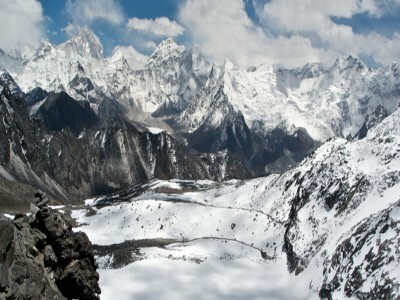 Day 12: Trek from Makalu Base Camp to Yangli Kharka (3600m/11811ft, 06-07hrs) lodge/camping accommodation. Day 13: Trek from Yangli Kharka to Dobato (3650m/11975ft, 06-07hrs) lodge/camping accommodation. Day 14: Trek from Dobute to Khongma (3500m/11483ft, 06-07hrs) lodge/camping accommodation. Day 15: Trek from Khongma to Seduwa((1500m/4922ft, 06-07hrs)lodge/Camping accommodation. Day 16: Trek from Seduwa to Num (1980m/6496ft, 06-07hrs) lodge/camping accommodation. Day 17: Drive from Num to Tumlingtar (04hrs) lodge accommodation. Day 18: Fly from Tumlingtar to Kathmandu (30min) transfer to request category hotel accommodation in Kathmandu in B&B Plan. Day 19: Free day for shopping and explore around Thamel, farewell dinner with culture program In the Evening. The cost depends on request category hotel accommodation in KTM. mode of trekking(camping or Tea house). 2 nights Tourist standard hotel accommodations in Tumlingtar on bed and breakfast basis. Schedule Flights Tickets for Kathmandu-Tumlingtar-Kathmandu sector both members and involved trekking staff. 3 Meals a day breakfast (Breakfasts, Lunch and Dinners with tea or coffee) during the camping as per Itinerary (if client request camping accommodation base trekking package). 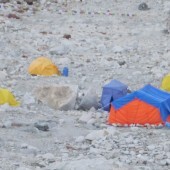 2 trekking members will have 1, V25 North face 4 season tent available During the trekking and camping accommodation. All request dinning tents, kitchen tents, members tents are available including chairs, kitchen cooking equipment, mattress etc(if client choose camping accommodation base trip).